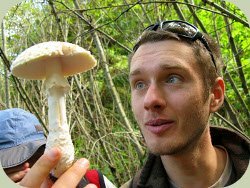 Learn the skills needed to utilize wild edible mushrooms! 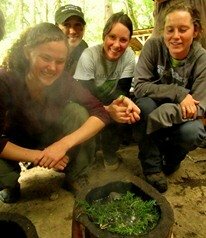 Spend an exciting day with Alderleaf learning about wild mushrooms and their many uses. The course begins with a fascinating slide show presentation that explains how to identify a wide variety of mushrooms found in the Pacific Northwest. The course continues with a mushroom foraging hike. The last portion of the day is spent cooking up the harvested mushrooms into several tasty dishes to sample. Hand-outs are provided with resources for further learning. "I love the comprehensive and long-range view of the course and how fungi fit into the whole ecosystem. Mushrooms can save the world!" "Very nice! Consolidated useful information; made it easy to understand."